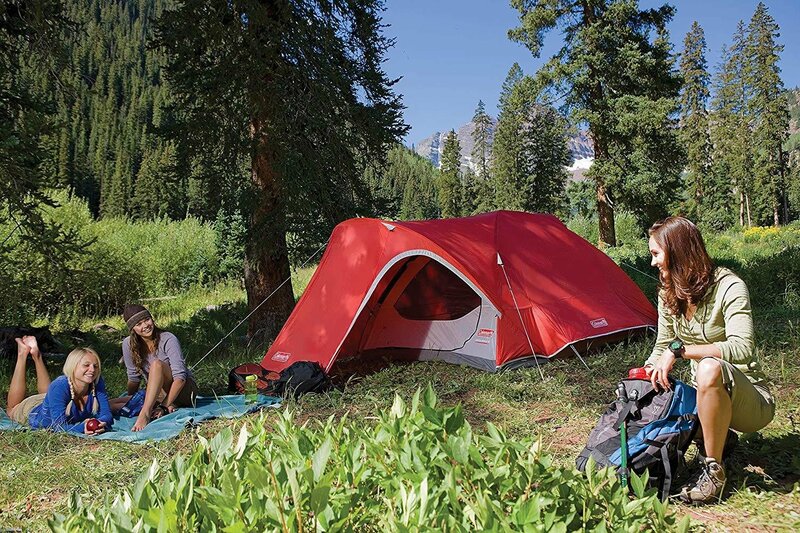 Your entire hiking group will sleep protected from the weather inside a Coleman® Hooligan™ 4-Person Tent with full rainfly. The lightweight, two-pole design is easy to carry and easy to set up. The three-season tent is designed for most conditions—mild to harsh—backpackers are sure to encounter. A fully-covered vestibule helps keep the inside of the tent clean by allowing for dry entry and blocking the wind around the door. When the weather is warm, take the rainfly off to enjoy the incredible ventilation from the mesh inner tent. Insta-Clip™ Pole Attachments stand up to high wind and the WeatherTec™ System’s patented welded floors and inverted protected seams help ensure you stay dry. The snag-free, continuous pole sleeves mean you only have to feed the poles once—reducing setup time to just 10 minutes.